A multi-million pound contract to upgrade trains with the latest digital signalling technology is expected to make Britain’s freight network safer, more efficient and more flexible. Under the Network Rail contract, Siemens Rail Automation will work with six freight operating companies (FOCs) to install its European Train Control System (ETCS) in-cab signalling on their trains. The deal, expected to become one of the world’s biggest ETCS retro-fit programmes, will be worth around £150m and will ultimately see 750 trains equipped with the technology. According to Network Rail, switching from lineside signals to on-train will allow more trains to run on existing tracks, reduce crowding, provide better connections, and improve performance and safety for passengers. 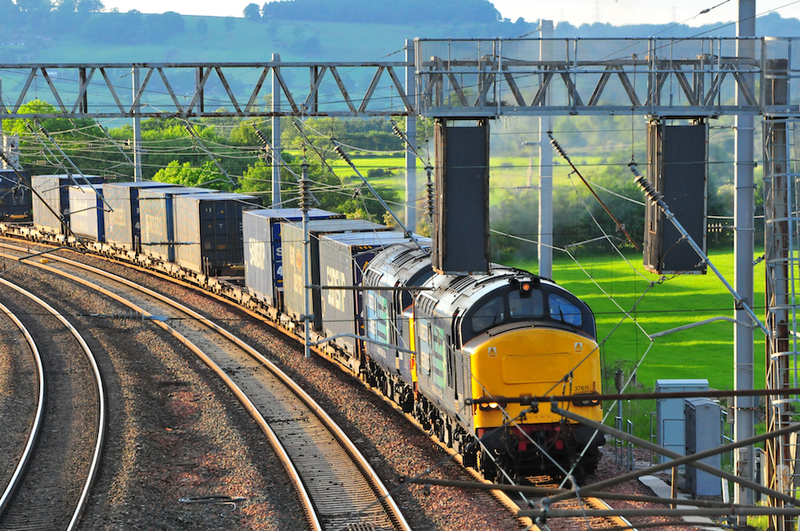 Freight trains remove an estimated 7.6 million lorry journeys off UK road and contribute £870m to the nation’s economy every year. 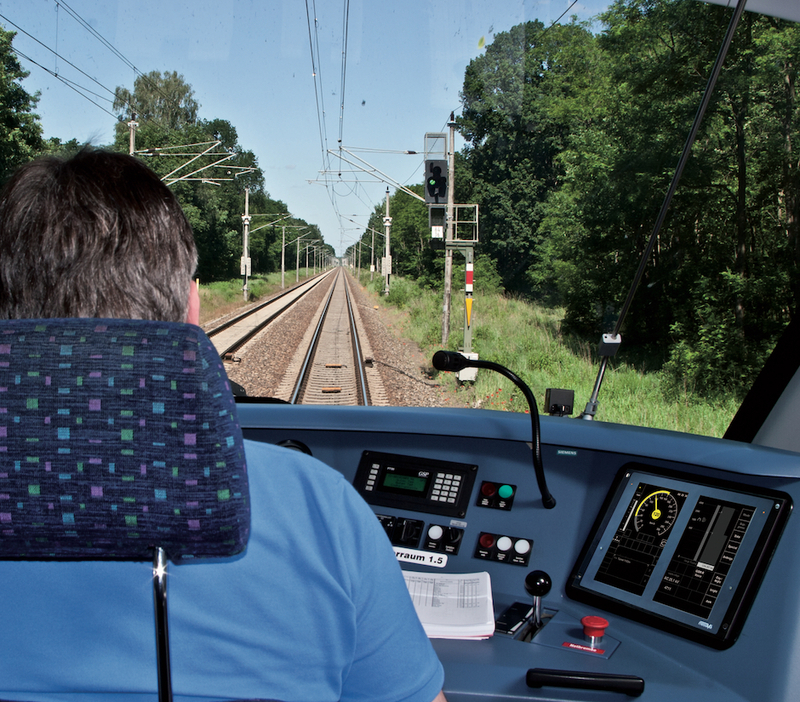 ETCS ensures trains always operate within safe limits and speeds, providing safe movement authority directly and continuously to the driver through a driver’s display. Network Rail said that Siemens’ Trainguard 200 technology – the system that will be used in the latest roll-out – is a proven, lower power and reliable solution with highly robust fall-back odometry and radar configuration, and features ‘Automatic Warning System’ (AWS) and ‘Train Protection and Warning System’ (TPWS) functionality which is integrated into the ETCS driver display. Freight trains are at the forefront for ETCS fitment, as unlike other trains, they are able to travel across the entire country, passing many ‘route’ boundaries and interacting with various types of train traffic and signals. The contract forms part of the industry’s wider ‘Digital Railway programme’ – a plan to tackle accelerate digital modernisation of the UK rail network. The Government has announced £450m in funding for digital railway schemes, as part of its National Productivity Investment Fund. Infographic: What does a typical engineering career path look like? Interesting to see real progress with this type of system at last – but it has taken almost a quarter-century, when the enabling technology was already available outside the rail “silo” back in 2000. As the public voted to get out of the EU, shouldn’t we develop a UK Train Control System (UKTCS) so that we don’t have to integrate with Europe? It would be wonderful if they made them quiet as well. Will this directly enhance rail freight’s profitability, reduce its costs, make it more attractive to current non-users and drive up the appallingly low asset productivity that the industry seems to accept as a norm. Until and unless it can routinely match and outperform road freight on cost, product and service delivery it will remain a small bit player in the UK freight market. The industry claims huge growth since the 1990s, probably the nadir of performance as BRB prepared for privatization and the business haemorraged. The relentless capabilities of the road transport sector need to be matched in terms of wholly different operational, technical and commercial models within rail freight . ERTMS is like a long running saga and is not a panacea for other fundamentals the industry should be addressing. I suspect that the major success of the road transport system , and consequent overcrowding, is a factor driving traffic onto railways. And the poor coverage of the country will limit the commercial models available (AND productivity) and leave railway, sadly, as second fiddle to the road & motorway system . So even when sections of the railways are saturated (around London at a guess) there are others that are (consequently) unused or under-utilised. Given the lack of motorway going North (M6 & A1) it might be worth focusing rail freight on that area..And produce a Northern Powerhouse?